One year ago today we lost K9 Redden. He was struck by a vehicle, ending his lilfe and his search career much too soon. I am not going to lie, remembering stinks. It hurts. It is very very sad. But, it definitely makes it a little more bearable when I think of everything we have accomplished over the past year in his memory. Join us in celebrating some of Calvary Canine’s proudest accomplishments! Creating the K9 Redden Memorial Disaster Dog Training Scholarship to provide real-world training opportunities for search dogs. $10,870 in donations raised to support the training scholarship and provide equipment. 6 - $500 training scholarships awarded to date. 2 rounds of scholarship applications completed, with the third currently in progress (click HERE to apply). 3 scholarship recipients have attended their scholarship-funded training and demonstrated their dedication to their K9 partner’s success and the mission of search and rescue. 6 new pairs of Rex Specs donated to teams deployed to the 7.1 Mexico earthquake. We have also celebrated our new puppy’s first birthday this week. While looking for a photo of Oma to share, I came across this one from a recent training. The similarities to the photo used during the search for Redden (see above) caught me off guard for a moment. Unbeknownst to me, during the days Redden was missing, this little girl was born. Coincidence? Universe? God? Having just celebrated Memorial Day on Monday, we remembered those who sacrificed and honored their legacy. In this spirit, we here at Calvary Canine are extremely grateful to all of our donors and supporters who have helped us create the scholarship in Redden’s memory and who have joined us in honoring the hard work and dedication of search and rescue K9 teams across the country by bringing awareness and resources to their important work. 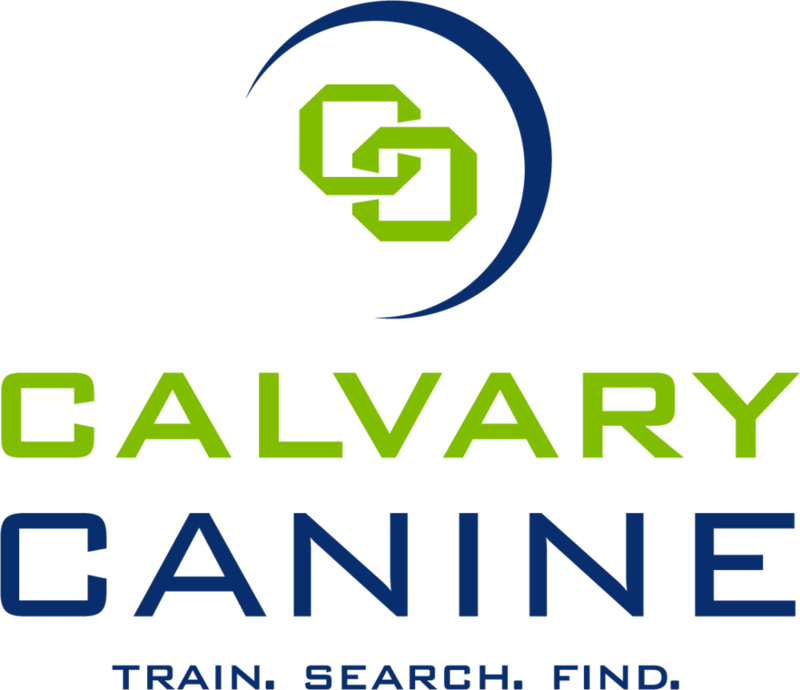 We hope you will continue to follow Calvary Canine over the next year as we continue the mission of bring critical support to search and rescue dogs. Interested in joining our efforts? Learn more HERE.